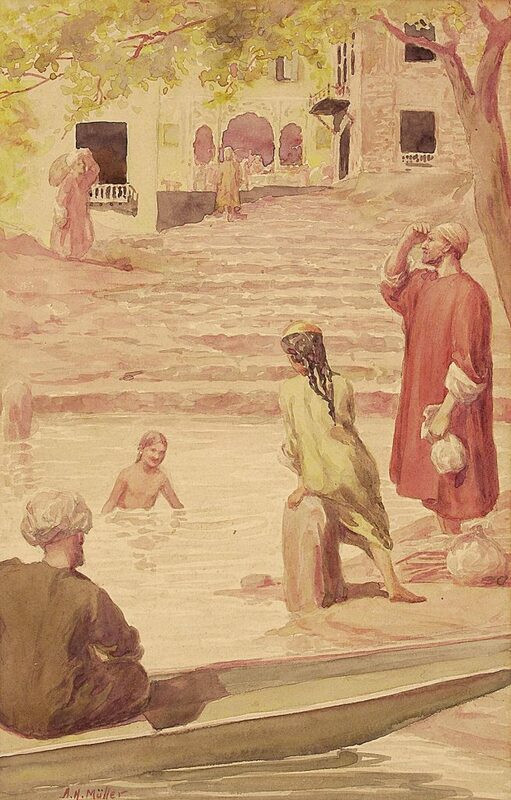 A graduate of the Government College of Arts and Crafts in Madras, Archibald Herman Muller was born in Cochin, Kerala. After completing his studies, he joined his brother at his photography studio. Muller’s shift to Bombay in 1910 proved to be lucky for him as he gradually occupied a special niche in the Indian art scene of the early twentieth century. Some of Muller’s works stemming from Hindu mythological themes, rendered in an academic style popularised by Raja Ravi Varma, became critically acclaimed and won awards. 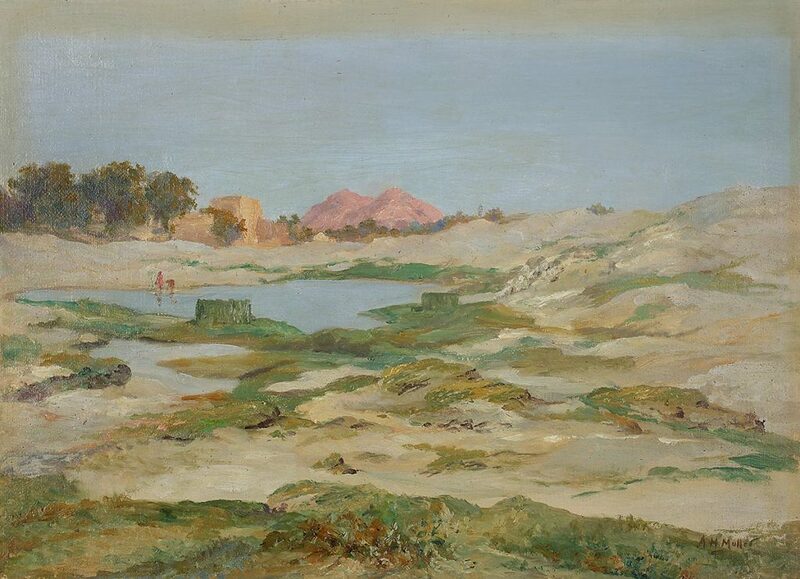 His paintings included landscapes, portraits and scenes from the lives of maharajas and other historical subjects. Created in the hallmark of the premodern Indian artistic style, Muller’s figures of ordinary people, though set in an indigenous environment, bore elements of the Greco-Roman classical understanding of the body structure and posture. 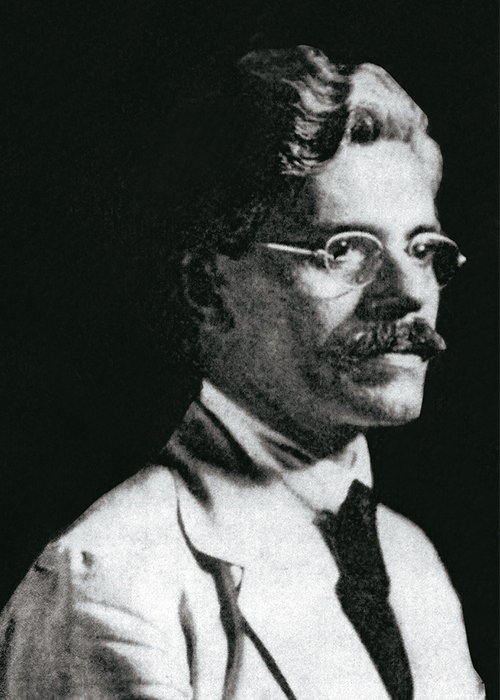 During the First World War, Müller, on account of his part-German descent, was offered a choice between jail and volunteering for the reserve force. He chose the latter and won appreciation for his series of lively sketches and drawings produced during service. 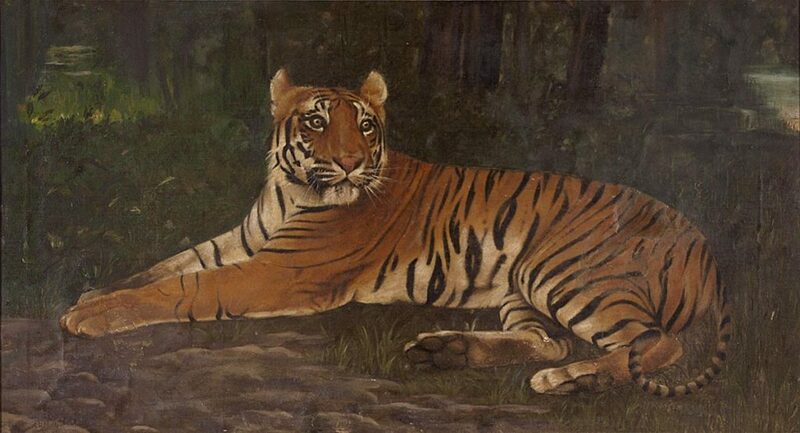 From 1922, as a court painter for the Maharaja of Bikaner, Muller evolved his repertoire around scenes of royal hunting and from history. Later, his engagement with the court of the Maharaja of Jodhpur, after 1928, resulted in a series of paintings on subjects of mythology. Muller travelled extensively through Maharashtra, Rajasthan and Gujarat, enjoying the patronage of the royal families, and his work was acquired by Buckingham Palace and the Victoria and Albert Museum in London, and is part of the collections in museums in Sangli, Maharashtra, and in Bikaner, Jodhpur and Jaipur in Rajasthan.